Planning to undergo a home improvement project? 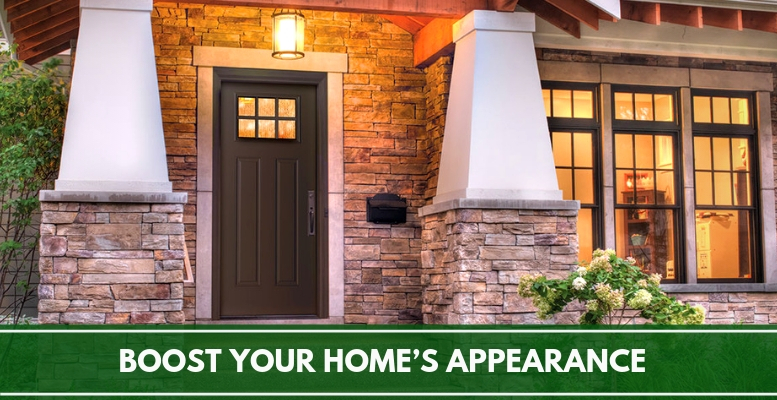 Well, upgrading your front door can make a huge difference in the look and feel of your property. Looking for high-quality doors which can stand the test of time as well as offer great security and insulation in your house? Getting a high-quality composite door installed can be your most informed decision. No matter whether you live in a multi-storey house, a villa or an apartment, composite front doors are ideal for every home. Made from a selection of robust materials like glass reinforced plastic, solid timber and UPVC, composite is one of the strongest door materials in the market today. What makes composite doors in Cardiff a popular choice for homeowners throughout the UK is that these products come with enhanced weatherproofing and offer better insulation. Here’s everything you need to know about composite doors and what makes them your best choice! Why Are Composite Doors Ideal For Every Home? One can never go wrong with the beauty of Composite doors. Available in a varied range of colours, style and materials, you can find them in just about any design theme. This way, you can be assured of finding a design theme and colour scheme which complements the interiors of your home. Premium quality doors help homeowners save significantly on energy costs, thus resulting in lower heating and cooling bills. With these doors, you can be certain that they won’t warp after they are installed. They even prevent drafts from getting into the cracks since they fit perfectly into the door frame. Furthermore, in comparison to the regular standard ones, these products are much well-insulated. Reputed installers specialise in providing premium quality insulated doors at affordable prices. And when you include the maintenance costs, these products prove to be cheaper in the long run. This is because they require very little maintenance. For example, you won’t have to repaint them as they are very resistant to peeling and scratching. Additionally, these doors are very resistant to adverse weather conditions like rain and snow. Installing composite doors in Cardiff can help you save huge on your monthly heating and cooling bills. Since these varieties do not warp or bow and even fit perfectly into the door frame, they help in preventing drafts. These products are insulated way better than the regular wooden doors, helping you save significantly on the heating and cooling bills. Composite doors are widely known for their high-durability, making it almost impossible for intruders to knock them down. This gives home-owners a great sense of security in their house for them as well as their families. Leading manufacturers and sellers even stress test these doors for ensuring that the durability exists and runs exactly true to its form. Getting a premium quality composite door installed in your house can thus give you complete peace of mind. What are you still waiting for? Approach a reliable installer and get these high-quality doors installed. Time to enhance the curb appeal of your house!